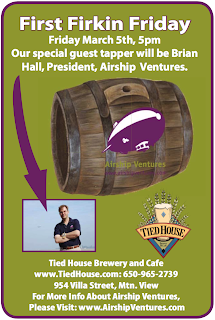 We're having some fun this Friday at the Tied House Brewery in Mountain View after work. The brewery has invited us to tap the "First Firkin". 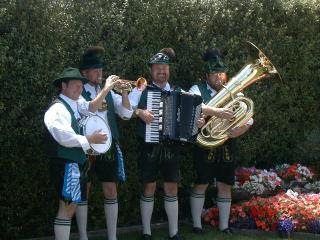 Because too much is never enough, we've invited a Bavarian band to come and play too -- The Internationals. How much is a Firkin? Ever so helpful, Google informs us it is 40.9148269 liters. I think our merry band can handle that, but we hope to see you come out and help us anyway. There is always the Second Firkin!